Do you want to improve your smile & confidence? Do you want to improve your dental health? 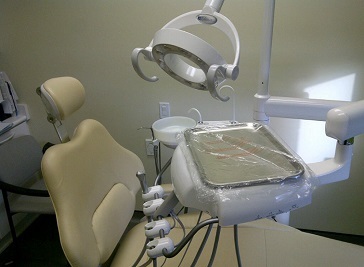 There are plenty of Dental Health Care Centers providing you with best professional Dental services in Durham City. Maintaining a good dental health play a great role in maintaining your good overall body health. A healthy mouth gives you a great look as well as boosts your personality and confidence. Take good care of your mouth, teeth and gums to ensure your bright and white smile and also teach your children to take good care of their teeth and gums for a bright future. Dental units are offering great services to return your smile and confidence forever with bright and shine white teeth and complete pain relief. Regular checkups with dentist are very important and lead towards great dental health. If you are looking to get back the strong and healthy teeth you ever had in your life before, the city of Durham offers you with high quality dentistry services in a very friendly environment. Cestria Dental Practice is located in Chester le Street, Durham and providing Dental Services to all ages. The services at Cestria Dental Practice is one of the best you will ever experience because it is ensured that your treatment is carried out in a relaxed and open manner. The Durham City Smiles centre provides the best dental care for all of your family in the heart of Durham City. The venue perfectly provides an easy access to the wheelchair users and people with prams and pushchairs. Staffed with well qualified professionals, here you are provided with a friendly and relaxed atmosphere for examinations and treatments. 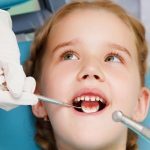 Belmont Dental Practice is located in Belmont Durham and is distributing smiles through a vast range of dental services. The services includes Bridges, Crowns, Dental Implants, Dental Emergencies, Denture, Porcelain Inlays, Root Canal Therapy, Teeth Whitening, Veneers and White Fillings.